Podlasie region in Eastern Poland has for long been considered a traditional part of the country, with small towns and villages dotting the mostly rural landscape, where local communities exist in peace and farming and small-scale industry provide jobs and stability. However, following profound social and economical changes, the traditional landscape is gradually becoming a thing of the past while the romantic idea of village life we still hold in our minds simply no longer exists. In 2004, Poland joined the European Union and started to receive funding directed largely for infrastructure, environment, and agriculture. In 2004-2015 agricultural subsidies reached 39 billion euro. However, today, only 10 per cent of rural households rely on agriculture economically, with 38 per cent finding employment elsewhere and 25 per cent living off pensions and various benefits. 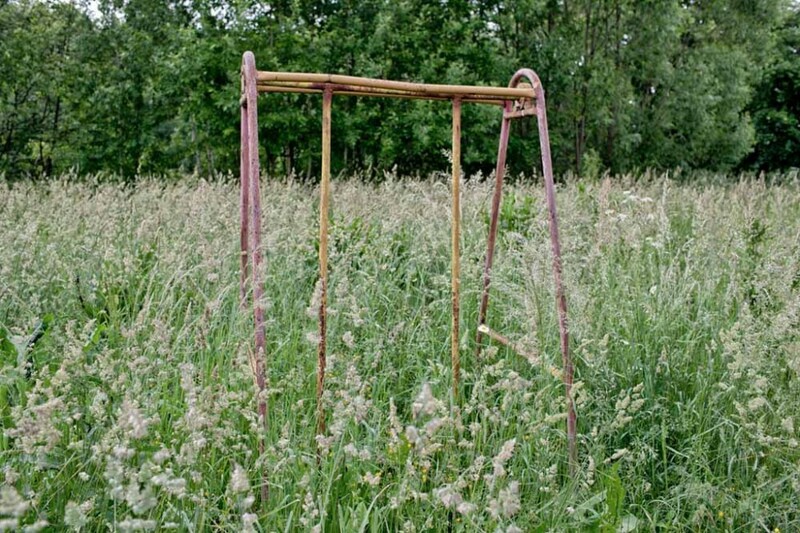 Polish countryside is losing its agrarian character. Migration inevitably changes the social structure of small towns and villages. Young people emigrate to large cities and abroad, seeking better educational or employment opportunities. At the same time city folk are rediscovering rural life with its peaceful qualities and slower pace without giving up much as living conditions and infrastructure improve. Man's relationship to nature is changing with growing environmental consciousness and strict EU policies. Information is reaching people faster than ever, allowing quick dispersion of ideas and trends in arts, culture, and fashion. These changes, started in 1989 with Poland entering transformation period and accelerated in the last 10-15 years, acted as a catalyst for what I believe is serious, and still ongoing, transformation of the Polish landscape. 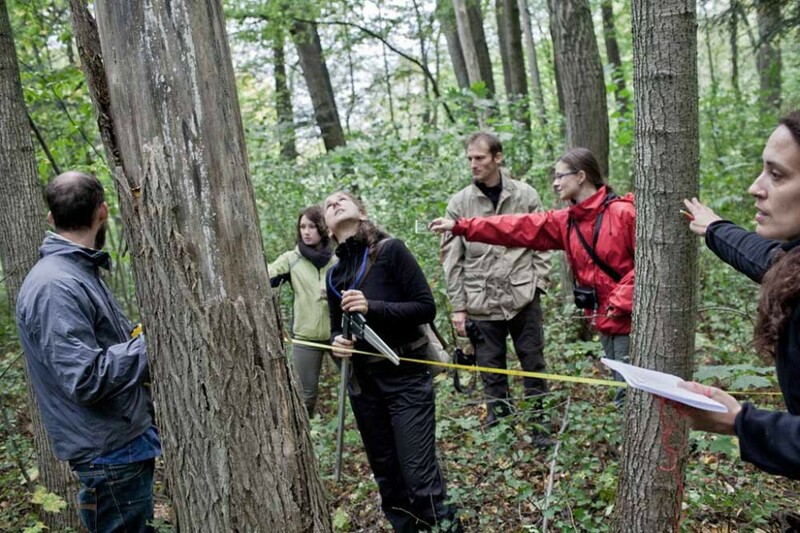 International group of biospanersity workshop participants explore forestry techniques. 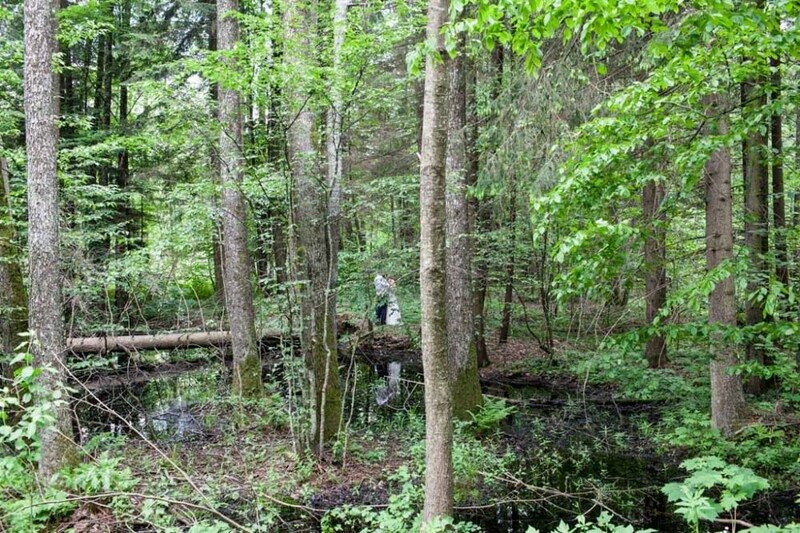 Unique qualities of Białowieża Forest, an UNESCO site, attract scientists and researchers from all over the world. Title photo: Young Dutch scientist catching and studying moths on the grounds of Białowieża Geobotanical Station. 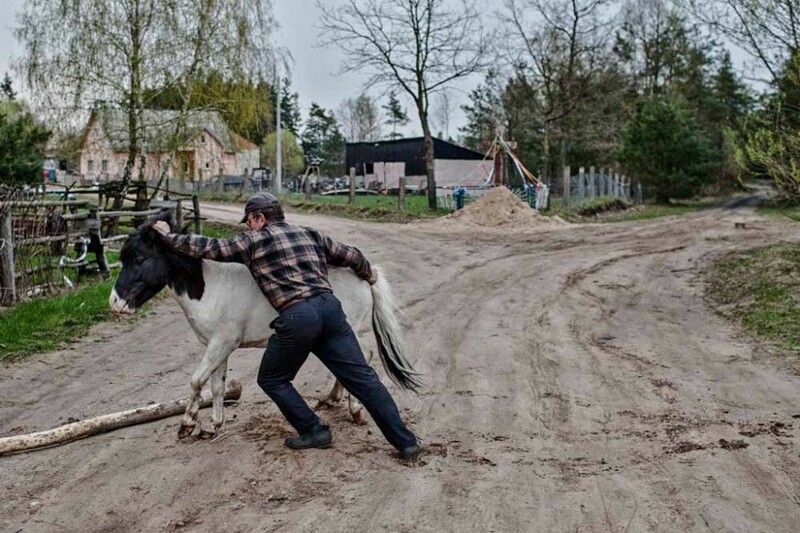 A farmer struggles to bring a stray pony back to his farm. 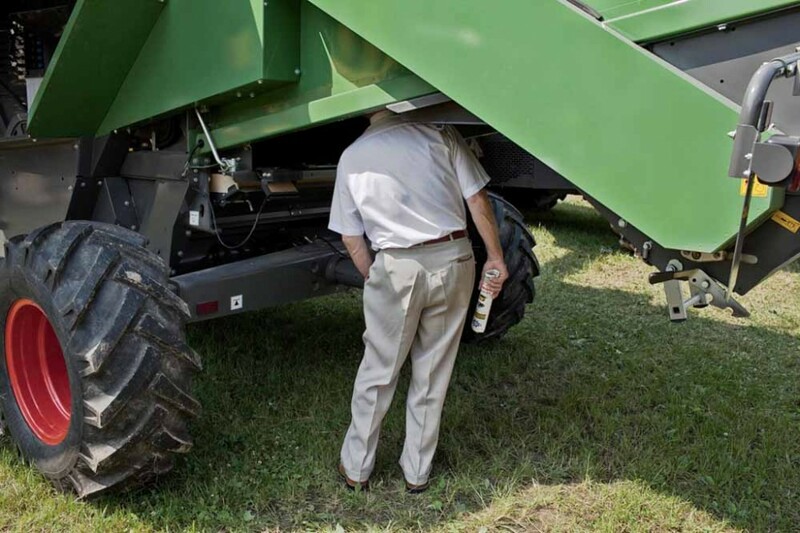 A visitor inspects a harvester during an agricultural fair near Szepietowo. Stream of agricultural subsidies from the European Union allows for thorough modernisation and mechanisation. 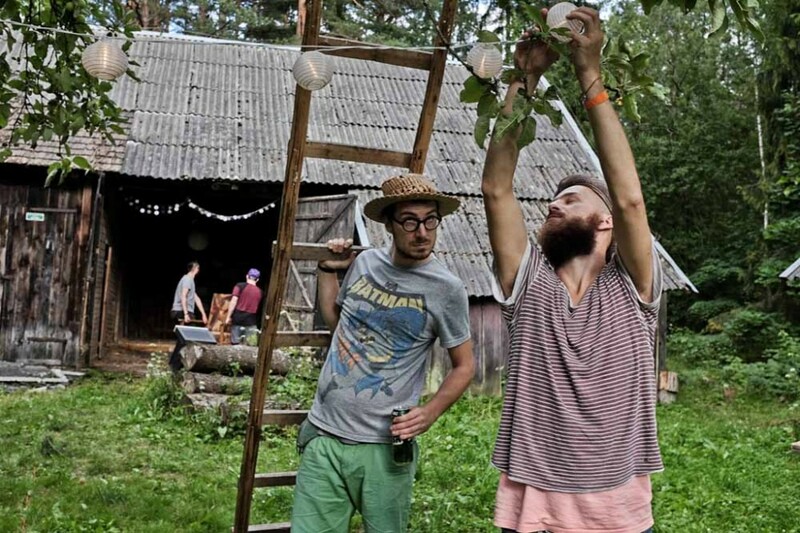 Tomek and Kuba are preparing the setting for the evening film screenings on the outskirts of Pasieki village. Podlasie region is now being rediscovered by urban dwellers, and often considered a perfect getaway. Local residents and visitors attend a concert held in a barn. 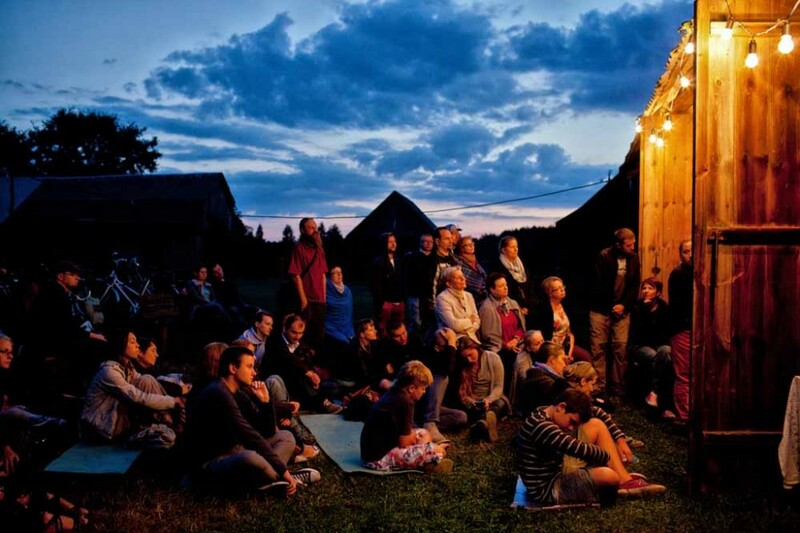 Since 2004 Katarzyna and Paweł Winiarscy have been hosting concerts and theatre performances offering a high-end community center in a rural setting. 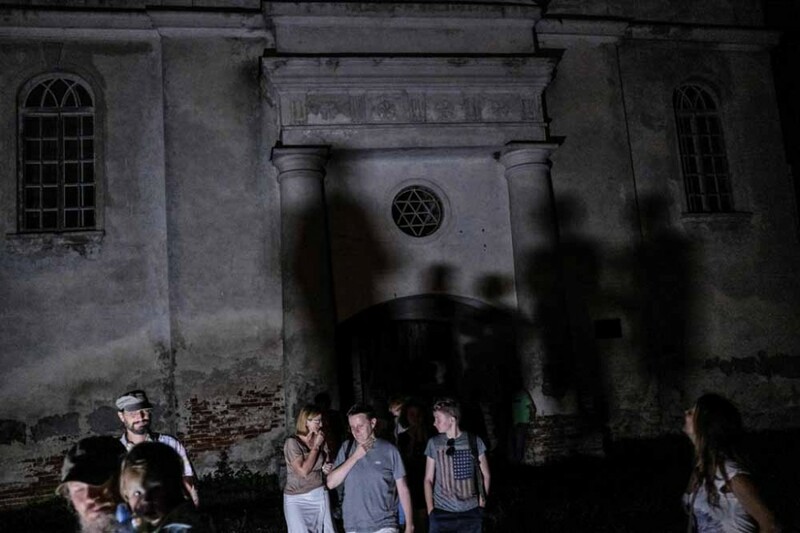 People exiting an old synagogue in Orla where a concert had just finished. 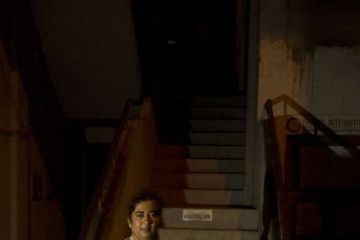 The building is in a poor shape and rarely opens its doors to visitors. Standing in the village's center, it is a remainder of pre World War II Jewish heritage that Poles are struggling to embrace. Record low water levels in the Bug river exposed the remains of a World War I steamboat, instantly becoming a brief tourist attraction. 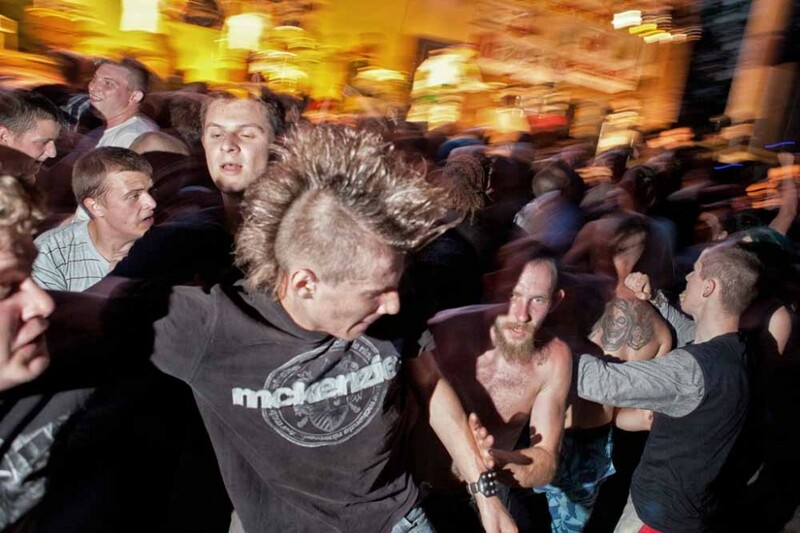 Punk rock concert in Hajnówka town. Rock music is becoming more and more popular locally. 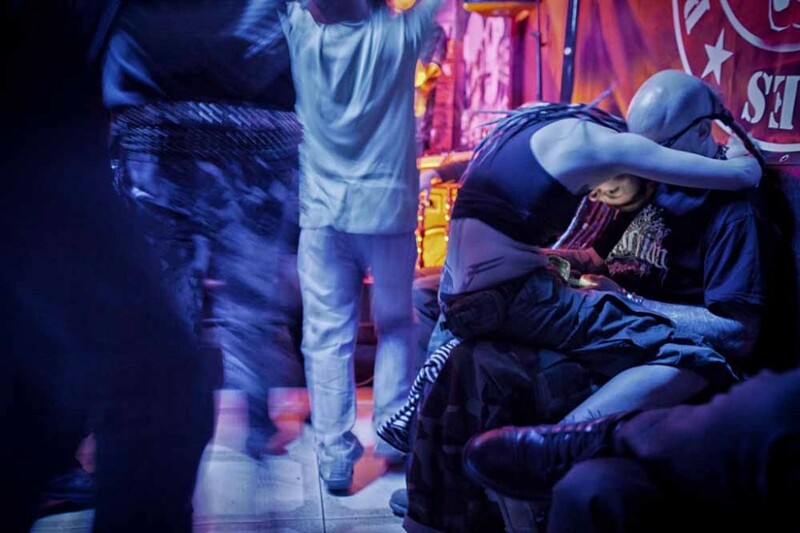 A couple shares a moment scrolling through Facebook during a punk rock concert taking place in a local bar in Bielsk Podlaski. Newlyweds during a photoshoot in Bialowieza Forest. Finding unusual locations for wedding photos is a new trend in the area. Rusty swing at an overgrown playground. Following young people's emigration most of the villagers are middle-aged or elderly. 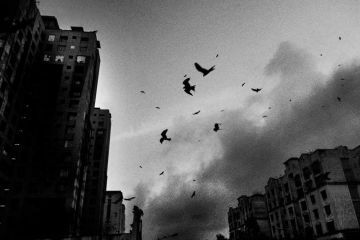 is a documentary photographer based in Kraków, Poland. 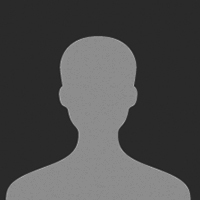 He has recently been focusing on issues related to migration and identity. His coverage of the European refugee crisis was awarded the Grand Press Photo of the Year Award 2016 and Pictures Of the Year International in 2017. 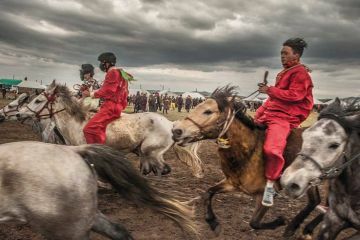 The nomadic lives of the Drokpa in Tibet’s grasslands.